Struggling…. With the pulls of dark, painful, foggy memories…. For many dissociative trauma survivors, various holidays and times of year are more difficult than other days. Some survivors may know they typically have a difficult time at the change of seasons, or when Easter-time comes, for example, but they may not have the memories or internal information to understand why they consistently have a difficult time at that time of year. Are you struggling more now that Easter is here? Does Good Friday have any specific meaning for you? Does Passover have specific meaning for you? Do you consistently have trouble with functioning at this time of year? Do you remember anything that would make this hard time make sense? When survivors with DID/MPD are sitting on unprocessed memories and their system is separated by strong dissociative walls, the host of the system may have absolutely no awareness of why certain times of year are more difficult than others. The host might know that there are consistently difficult times. They might have an acute awareness that they “hate this time of year” but they still might not have an answer for “why” certain times of year are more difficult than others. Host alters, fronts of the dissociative system, can be aware of the side effects of having a hard time, but still not have any explanation for what it’s about. Do you find yourself switching more than usual? Are you missing more time, even in small chunks? What about in big chunks? Are you experiencing more headaches, depression, anxiety, panic attacks, flashbacks? Are you seeing flashes of images, or fleeting snippets of pictures that don’t quite make sense? Do you feel unsettled or jittery? Do you feel confusion and time distortion, as if it is another time than this exact year? Are you extra sensitive to certain smells, sounds, lights, and movements? Is there more noise, commotion, chaos, and activity coming from deep within your system? Do you feel not quite like yourself, as if there are others standing nearby to you, affecting you? Do you feel more suicidal or more vulnerable to self-injury, self-harm, and self-destruction? If you are experiencing these type of symptoms, and yet have no answer for why these things are happening, you really can do something to help solve the mystery. Any guesses for what to do? Do you want to know why you are having such a difficult time? My answer to that is to ask inside. Listen to what your insiders are telling you. There will be someone inside your system that knows why this time of year is so difficult. You might have insiders that have been particularly split off to handle situations from this time of year, so if you can find who that is, you will get some answers for what is going on. Frequently, my interpretation of the above listed symptoms is that the dissociative walls – amnesiac walls — that previously blocked you completely from an awareness of what happened, is now starting to crumble. What was once kept from you, is now starting to seep into your awareness. For whatever reason, the dissociative wall is starting to weaken, and you are getting bits of information passed to you from others deeper within your system. Maybe they want you to know? Maybe they need your help? Maybe they are ready to begin sharing their story with you? Are you willing to help the others in your system that have experienced such difficult times? Are you going to turn your back on those ones in your system that are hurting and struggling? Are you going to continue to deny their existence because their life story is so completely different than yours? Are you determined to strengthen your dissociative walls? 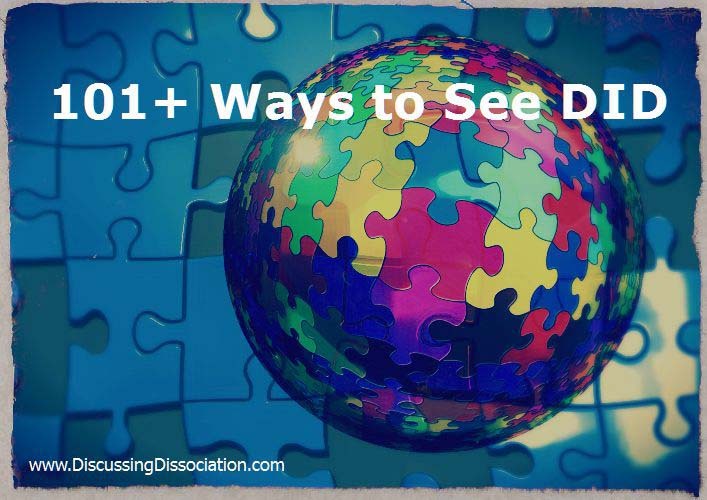 Or are you willing to lower those dissociative walls? Understanding your life, your symptoms, your history, your struggles, etc all go back to having good internal communication. As you talk to your inside people, and ask them what THEY know about what is going on, you will get the answers you are looking for. Someone inside will know why this time of year is difficult. Someone inside will be able to explain what those flashbacks and picture flashes are about. Someone inside will know why you are so sensitive to certain smells, sounds, movements, voices, etc. The majority of the answers for why you are struggling are contained within yourself, within your internal system. Talking to the people in your system that are on the other side of the dissociative wall will give you a ton of answers to what is happening. Whether you are willing to listen to them or not, or believe them or not, is a totally different issue, but if you want to know why you are struggling, you can find out. Lots of times, it will be because certain insiders are struggling, and their depression, or their fear, or their anxiety, or their panic, or their PTSD flashbacks will be overflowing onto you. If you are not sure why you are having a hard time at this holiday season, look inside to find the part / parts of you that have direct knowledge of those hard times, and go from there. If your insiders are brave enough to start telling you about their struggles, be brave enough to listen to them. I have to get this off my chest or I think I might explode. The thing that I hate is that this holiday is so difficult for so many of my survivor friends. I find myself so angry that someone/some group turned the holidays into something that brings a lot of pain. For me this holiday brings so many good memories, I think it’s maybe the only holiday I like. It just upsets me and makes me angry that my friends didn’t get to have that same experience. Anyway, I’m sorry this time of year is so hard for so many. The only reason I think April is a little hard for me is because I’m coming down off of Fall (anniversaries galore), Winter (just plain rough/lack of sun) and March (anniversary), and so while I see it as “Whew, now I get a few months ‘relief’ ” I think my brain tends to let the walls down a little more. Sort of like it’s ok to unleash things that were kept bottled up during the past several months. I don’t feel as uptight and edgy but I can get emotionally drained so fast as it seems like stuff can pour out and any moment. Our system is very split on this. Some have wonderful memories of easter and love this holiday. Others hate it and I think they have horrible memories from this time of year. But, the ones who hate it, they don’t want to share. They are withdrawing and isolating and not letting anyone in. Just really difficult for us sometimes. We hope that everyone has a safe holiday and that it turns out to be better than the past. 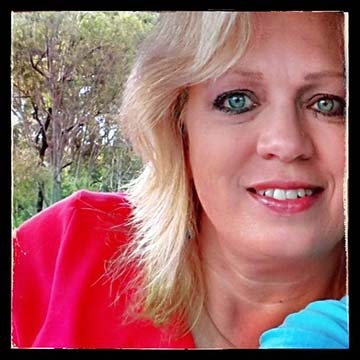 First I want to say Thank you Kathy, I have learned so much here and become more aware of others etc. This is a horrible time I think for us..I could feel the tension building all week, but I have no bad memories of this time, actually I have none at all of this time. Others I am aware of are ok too, but one, but she is not saying much, I think she is what some call a protector though. I have met only one child, but I think I know where she is but can’t get there. I heard someone crying and saying stuff, but I am not sure how because where they are is so far away. Main part is still really struggling with dx so I am holding the fort alot, but struggling too, I have a stress fracture from running but the problem is/was I did not feel it. ( I dont feel pain ) It has been so hard not being able to run, I have tried swimming but its not the same, today I broke down and ran and others are mad at me, I had to get release from the tension and stress that I am picking up on these last few days. But others are calling me two faced as T said we have to cherish the body and I have been preaching that, and trying to lead by example but today I failed and hopefully I did not damage the leg more. This time of the year is not a bad one for me, the summer is especially July. ive had a part who has started telling me some easter secrets…its very hard..im trying to listen but its very hard to hear. Asking inside doesnt work sometimes. No matter how much you reach out, there isnt anyone answering. Easter is one of the most difficult holidays for me. Not because something bad happened, but because nothing bad happened. It is the one time of year that I (all of me) can remember happy times, cherished times. I am ashamed to admit it, but, sometimes, not only would I like to tear down the dissociative walls, I’d like to tear “them” away, too. Listening doesn’t work – they don’t talk to me. They talk to my T. I don’t know how to talk to them. I was stalked all thru my profession and via colleagues my parents would contact – whether or not I was in touch with them – and they would cry and plead with people to “get thru to ____________” I guess to make sure even if I ever told anyone “the rest of the story” – that I would never be believed. I never could manage to entirely remember why exactly it was that I was staying away from my parents until one time, falling yet again for the bait of some friend of mine being coopted into saying what of course sounded so reasonable “cant you just send them a note sometimes?” So I answered one of those calls, and Dad got enough information out of me to track down where my brother was, and write a devastating letter to his commander which would have ben so incredibly professionally damaging to him had it not been stopped along the way by another commander who saw the letter and realized that there was a problem – and it wasnt my brother. The letter – to military high command – was from “concerned parents” about the “mental stability of our son” – FINALLY I was able to see that although I could not always remember exactly Why I needed to Not be in contact with those parents – I truly needed to Not be. Families that “need” to have control of their offspring – Just Are NOT healthy families – and much of what “seems” like “normal” communication – is actually loaded with manipulation, and purposeful misrepresentations of the past and present. Much of this is done so reasonably sounding that it can be very difficult as an adult to truly realize that its Very Important Not to deal with such people. This is terribly complicated by the fact that at least in my case, noone I knew had families even remotely like this – so my concerns sounded ludicrous, while my parents intrusions into my life actually did sound like “concerned parents” to people. It was horrible and many people just decided as they didnt actually know me anyway – to just believe whats just easier to believe – that I must be the problem. So I can relate very much to your frustration with insides who you wish to tear away – yet in every single case – they have turned out to be so much more right than me. If you think of them as instincts, with knowledge that is their attempts to protect you inside – I think you will come to understand that what internal warnings you are getting just truly are for a reason. When I did return to my family at points, I always experienced the ripping apart of me as I know myself, being shredded and broken down into some compliant and confused person that I just am not generally. This was done in so many ways that after a few days I just would be so confused I would just become almost a blank while there – inundated and overwhelmed. Internally knowing “Oh this is Why I dont come here” but never being able to put my finger on exactly which aspect or thing it was. Just finally when I got away becoming me again – not overwhelmed or over run. And I never could describe to anyone exaclty what happened there, or what all had happened. But similarly – Yes, there were good experiences mixed in – and loads of guilt leveled at me. You may not believe me that you are doing an important thing by staying away from them – but maybe if you do listen inside past the ones who are screaming at you for Not going home – maybe if you can listen to the softer more keening voices you will come to realize that actually you have very important reasons for staying away. But as Kathy wrote in her next article – staying away is not an end unto itself – creating new meanings in the present is. Allow yourself to grieve that it just isnt safe to simply return to these people, that their pulls at you have nothing to do with your being an adult, but everything to do with trying to make you controllable again. And make new memories in the present – color eggs, create something new. My insides do not talk to T’s either, nor do they listen much to me – but they do communicate to me, and I dont always heed their advice – but it always just does turn out to be true that their instincts and insights on a situation include information that I just only realize later if I try and barrel past them and do what I wish just was. They just have better reads on situations than I do – and I have come to respect this very much. And only a few of mine actually talk – most of my internal communication is in feels and images and sensory communications. Maybe because it just was so utterly unsafe to talk back then. In any event – my insides read a situation far better than I do, and when I listen to their feels on things, I have come to immensely appreciate their help and perception. I hope you make something anew today that gives you some solace and meaning in the present. Kathy put alot of good links in her next article so I hope you are able to be gentle with yourself today and create something anew that is meaningful to you. That which is tearing you down over not being in touch is that in you that so incredibly wished things just were different – so maybe help those aspects find something actually different and meaningful in making your peace within yourself today. All of this inside is looking out for you, and this season is actually about renewal and restoring hope. May you find this today. We love Christmas a LOT-a lot a lot, favorite time of year-all those decorations and sparkly lights and all. But its also the hardest time of year at the same time. We always go visit our family and we love them a LOT, but for some reason there’s just a lot of pressure that builds up inside and dealing with all of them (huge, gigantic family) is difficult. Even though we always look forward to going for the visit on some level…its just always weird. There’s always more self-injury, more relapse into the eating disorder, more upset inside. I don’t know why. Our family is nice…and I have pretty good boundaries…and I’ve forgiven my family for anything they did in the past and I’m trying to get everyone else inside to do the same. But it is hard to focus on the present for some reason. No one inside tells me anything. Remember to talk with your insiders. They can explain what’s bothering you…..
My big holiday is Christmas. One of my parts just hates christmas. I don’t know everything, but I will explore this as we enter the upcoming holiday season. Just the stores selling christmas stuff makes me angry and I heard the first christmas song on the radio and yelled NOOOOO. 4th of July in america is the only one I actually like really. Also I don’t know what to buy for people because it is hard for me to decide. So my gifts are impersonal and then I feel guilty. Oh I am getting prepared as well DK as I am sure are others. I will be very interested in hearing how folks prepare for the holidays. I actually really like Christmas as in the decorations in the house. My little ones just love all the colours and shiny things and moving things and … well, the problem is making sure that they let me get the decorations out and placed. Every year we have some exuberant insiders who break things because they cannot help but touch or get ahead of themselves. But, that is okay. It really is a time for some of my little ones to have fun. But, then there is family time and that is where things can fall apart. Because we live a distance away from family, we have to travel there and stay for a bit. Not sure what to do there. BTW DK – no need to feel guilty. You can only do the best that you can do. I really am not into shopping this year myself so it’s a whole lot of gift cards in the works! Ya, not very personal but the best that I can do this year! Thanks for having a enough insight to know why this is time of year is hard for many of us. Kathy, you are the only professional in my life you actually gets this since my mental health team changed a couple of years ago. You may be a gazillion miles away, but it means so much that you recognise these festivals. day’ app has been throwing out a lot of evidence off this pattern. Unfortunately that app/diary doesn’t go far enough back in my life to easily give me information from inside, but as I said it began to emerge about five years ago. I am so relieved that Good Friday is over. We’ve made it! Nearly. It’s been a long season from Shrovetide, Ash Wednesday (which this year had the double whammy of Valentine’s Day) and lent, which also fit a kick the boot in has the equinox and clocks change as well. Trauma trigger fest. It’s been a long six weeks look with little respite for the insiders. I had a lot of focus this year on how can I physically protect myself in the week leading up to Easter. I got sidetracked by anger that none of the professionals in my real life get it. They don’t get how horrific this is, and I don’t get why I’m so scared for my present safety. But have been pleasantly surprised at myself for how resourceful I am becoming. How many social things I have been able to put in place just to have a low-key connection with others. I’m at the point when my friends are aware enough that religious and pagan festivals have horrific connections to tighten the safety net a bit. I have built in some nice things, a couple of sleepovers so I’ve not been on my own every night, paced ourselves more realistically (being bombarded by memories for what seems like 24/7 for more than a week is exhausting), not given myself a hard time for feeling fragile and a Passover safety plan. We also have some really nice stuff planned for next week. Keep peddling and keep paddling like a swan so when I make it to the other side I don’t flop with exhaustion as these treats (theatre, dinner with friends and mini vacation) are waiting. Even with all of this preparation I forgot the most important thing until last weekend. Listening to the insiders. I’ve been doing so much safety planning, taking care of the different parts, validation of knowing how horrific ritual abuse is that I forgot perhaps maybe ignored listening to or taking time to process information. The reminder came from someone else in the DID community on Twitter. To be honest I haven’t listened to the details this week. I don’t quite get how I’m supposed to do that, soothe and keep us physically safe. I have been able to acknowledge and validate that the flashbacks, body memories and general yuckiness are connected to ritual abuse. We have taken time to cry, made a comfy den to sleep in (that always makes the little ones feel safer) and I am aware of some insiders saying hello for the first time. I’ll have to hope that that these insiders know that I know the bigger picture, have insight to the horror of our story and although I haven’t been able to be an individual therapist to each of them this week I am trying to adapt to their needs as much as possible and focusing on trying to keep them safe from new trauma. Although I haven’t been listening to every single story, there has begin to be a cohesion that for this year that ‘we’ve got this’, and we are not going to go back to that place. Our survival strategy is a bit more coordinated I’m thankful for the information we have all shared in the past to enable to us to stay safe, survive and not let the Eastertide horror hijack 2018. Kathy’s posts always make me think, in a helpful way. It has been incredibly painful this week and I know that we are in turmoil so I’m going to set aside time to listen tomorrow. We will safely be through Holy Week and maybe arriving at Easter maybe the right time to have an art therapy storytelling day helpfully assisted by chocolate. I so wish that I had some wonderful words of wisdom to help you through this painful time. You have set about a brilliant, courageous and loving plan for your insiders. I so admire how you have given this so much thought and consideration to see yourself and your insiders through this horrific time. I can only send my sincere wish that you find some rest and peace in the weeks to come. My thoughts are with you.